candidates circulating their petitions to signatures gathered only from voters who are registered as independents. There are other restrictions in the law (linked in my blog), but this is the most obnoxious. It was signed into law last year by Gov. Daugaard after a transparently self-serving effort by straight party-line voting Republicans who control our Legislature to stifle the gathering power of South Dakota's registered Independents/Unaffiliateds, now numbering 112,000. Within days of the governor's signature, I supported a petition-signing effort to get this law referred to the people. It didn't take long for us to succeed. Why do I find this law obnoxious? Because in Section 7 it "prohibits a person registered with a recognized political party from signing a petition nominating an independent candidate for office." It denies me, a Republican, the opportunity to put an independent candidate on a ballot even though I just might be likely to vote for that candidate. That I'm a Republican by registration does not in any way mean that I vote exclusively for Pubs. I voted for Larry Pressler, the independent U.S. Senate candidate, in 2014 and intend to vote for Libertarian Gary Johnson for president in November. That this is symptomatic of a trend in which the GOP is rapidly moving in a direction I reject is one thing (and probably a matter for another column), but that it declares me independent of party coercion is another. If I saw an attractive independent candidate coming down the pike before the next election, I'd want to make every effort at getting that person on the ballot, including signing a petition. Denying me the chance to do so is denying my ability to support a candidate just because I'm a Republican. I think that's an abrogation of my rights, and I think it stinks. This autocratic and arbitrary limitation on the potential pool of petition signers for an independent candidate significantly reduces the chances of that candidate making the ballot. That isn't right. More to the point, similar restrictions haven't held up in the courts. Frequently cited (Wall Street Journal, CNN and other national media) ballot-access expert Richard Winger has examined SB 69 and questioned whether it will hold up in court if challenged. Winger notes that a similar ban on party registrants signing independent candidate petitions in Arizona was invalidated by a federal district court in 1999 (Campbell vs Hull). Winger cites a similar New York decision by a three-judge federal court that found no state interest in stopping voters from signing an independent's petitions — a decision that was summarily upheld in 1970 by the U.S. Supreme Court. I'd be amazed if an expensive and unnecessary court challenge to the South Dakota law didn't materialize if voters let this thing survive. Educated voters, regardless of party affiliation, should be able to detect the inherent unfairness of this measure and resoundingly reject it by voting "no" on Referred Law 19 in November. John Tsitrian is a Rapid City businessman and freelance writer. You can read more of his commentary on his blogtheconstantcommoner.blogspot.com. Is Senator Thune For Or Against Federal Overreach? the act of a "bunch of un-elected, unaccountable bureaucrats waving a magic wand." The Journal reported that Thune is "exploring ways" of keeping the board from making similar, arbitrary decisions, but that "Thune does not know what action, if any, he will take." I doubt that any substantive action on this will be taken by Thune, but his politically reflexive whining about the matter does superficially burnish his "anti-fed" credentials. Thune's website touts him as a leader "in the fight against overreaching federal regulations," so his complaint that the feds ignored South Dakota's recommendation to retain the name of the well-documented mass murderer General William Harney on the peak in the Black Hills seems consistent with that position and mindset. But Thune's grousing notwithstanding, the Senator's options are to like it or lump it. By contrast, our Governor Daugaard wisely and pragmatically decided to go along with the feds on this, choosing to focus on other, more substantive matters that our state has to deal with. End of story. But for all that, it's really the nature of Thune's response that gets my attention. It's redolent of political opportunism and rhetoric. His blustery vow to rein in the naming board has "appeal to your base" written all over it--and gratuitously so, considering that he's in a reelection campaign that should be handily won. Thune has gotten much mileage out of his persona as a fed fighter, considering that "federal overreach" is probably the most common little couplet in his political vocabulary. What's inconsistent about Thune's reaction to the federally-driven decision is the way he ignores his pledge to fight "federal overreach" in other matters when political convenience or imperatives dictate. For example, last Spring Thune had no hesitation about bringing the weight of the federal government to bear on a private social media company's handling of its news reports. Thune thought Facebook's news feed had a liberal bias to it. The Facebook Trending Topics flare-up was exactly the opposite of Thune's self-designation as a fighter against federal intrusion and overreach. Thune's sternly worded statement that Facebook "must answer" and "hold those responsible" if there has been "political bias" in FB's news feed had the ominous tone of a government Leviathan, not to mention a serious disregard for the Bill of Rights. Happily, Thune's hyper-ventilation on that issue went nowhere. On a more spectacular level of inconsistency is Thune's alliance with a presidential candidate, Trump, who promises a substantial increase in presidential power and federal authority. Thune has endorsed a presidential aspirant who has repeatedly told his followers that he'd use government as a tool to improve their lots in life. That includes interfering in free markets by punishing private enterprises (including our farm sector) for pursuing global opportunities, increased police patrols in Muslim neighborhoods, federally instigated revitalization of blighted urban districts, punishment for women who have abortions . . . the list goes on. If this isn't federal overreach, what is? I wish Thune would get his story straight. The Harney Peak Name Change? A Matter Of Common Decency. 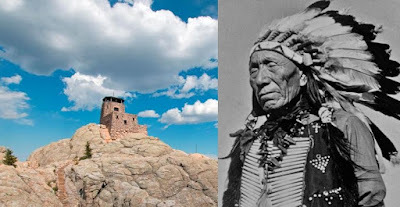 will be known as Black Elk Peak, Daugaard said in a press release that he was "surprised by this decision as I have heard very little support in South Dakota for renaming Harney Peak." Considering that the state's Democratic Party, which speaks for about a third of SD's registered voters, a year ago made a strong statement in support of the name change (part of a conversation that captured the attention of USA Today, where it got extensive coverage last September), Daugaard's reaction seems disingenuous or simply reveals his indifference toward an issue that has much social and emotional significance to South Dakotans. Judging from the extraordinarily high number of reader comments that this story got in RCJ's report on it last Friday, there's no doubt that feelings on this matter are strong. How could Daugaard have missed the underlying tensions regarding the name change? Seems like a lack of leadership and empathy to me. 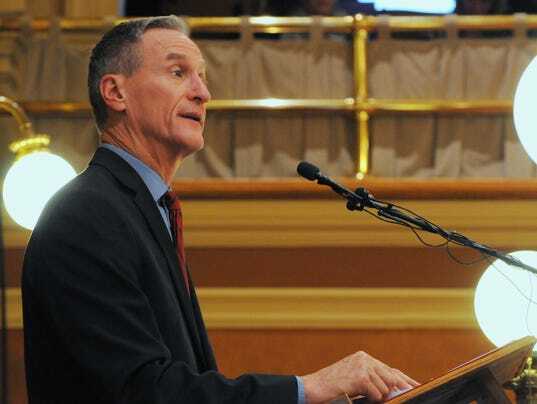 In his press release Daugaard says that the change "will cause unnecessary expense and confusion," because he "suspects that few people know the history of Harney or Black Elk." That compels the question, if more people actually knew the history of Harney, would they tolerate honoring his name by placing it on South Dakota's highest peak? Here's what the Nebraska State Historical Society has to say about Harney's actions (known as the "Harney Massacre") at an Indian village in 1855 at Blue Water Creek, south of the Black Hills: "While engaged in a delaying parley with Chief Little Thunder" Harney's troops "circled undetected" toward the village, "where the infantry opened fire and forced the Indians toward mounted soldiers, who inflicted terrible casualties. 86 Indians were killed, 70 women and children were captured, and their tipis were looted and burned." a set of his keys. Call me old-fashioned, but I don't think behavior patterns like these are the stuff of glorification, especially in this day and age where information gets disseminated instantaneously to the public, generally, and our kids, particularly. I pity the poor History teacher who has to explain how a sadistic madman has been honored in perpetuity by having his name festooned to one of the most notable mountains in the United States. And by the way, don't tell me that we shouldn't be judging his 19th century behavior through our 21st century moral lenses. In1864, Congressional investigators called the perpetrators of the Sand Creek Massacre "foul and dastardly." I'm not a situation-ethicist, nor do I believe 19th century moral standards tolerated massacres like the one at Blue Water creek. What I do believe is that expunging Harney and replacing it with Black Elk is a matter of common decency. Mike Pence Found A Way To Expand Medicaid In Indiana, So Why Can't Daugaard Do The Same In South Dakota? expansion. It's an issue that shouldn't be polarized into political camps but one that really needs to be addressed on a utilitarian basis. "Utilitarianism," as a political and economic set of beliefs, boils down to the principle that policies that lead to the greatest good for the greatest number of people should be the ones pursued and implemented by their governments. Expanding Medicaid fits this definition to a tee, considering that it will add about 50,000 South Dakotans to the Medicaid rolls, taking pressure off of state resources to provide them with healthcare and give South Dakota medical providers a chance to reduce the losses that accrue from caring for people without insurance. 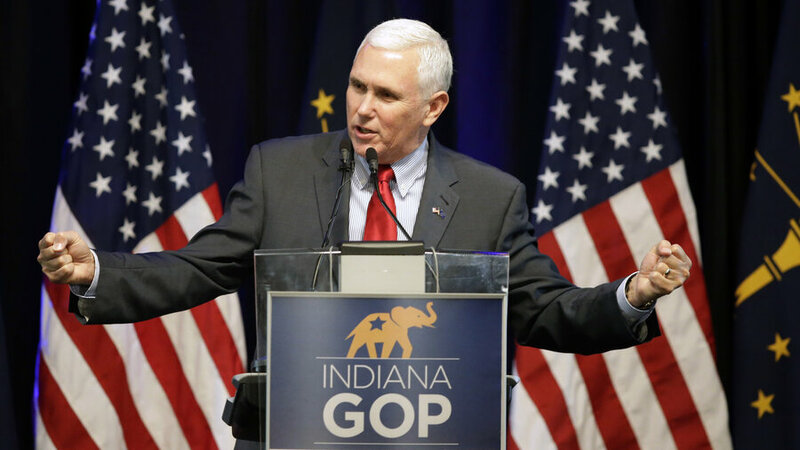 If Daugaard's opinion and plans aren't persuasive enough to our legislators to show the govenor some support, they might consider Indiana Governor (and GOP Vice-Presidential nominee) Mike Pence's attitude toward the program that he adopted in Indiana. Pence created a plan that provides Medicaid coverage for 350,000 residents who make up to 138 percent of poverty level wages (about $16 k/year for individuals, $33 k/year for a family of four). He attached some strings to the program, which is called Healthy Indiana 2.0, that requires enrollees to pay into health savings accounts, which may be a tweak worth considering in this conservative state of ours. The plan's website doesn't provide a table, but touts the premium as an "affordable, monthly contribution . . . based on your income." Indiana's 350k enrollees amount to nearly 6% of the state's population, about the same percentage as our 50k potential enrollees here. According to Politico, Pence's program went through despite "upsetting many conservatives who saw the move as betrayal." No doubt Daugaard, regardless of what method for expansion he promotes, will get similar pushback from South Dakota lawmakers. The ideologically hidebound House Majority Leader Brian Gosch (R-Rapid City) told the Sioux Falls Argus Leader last June that a block of elected Republican lawmakers don't support expansion because "they know it's bad for the state and for the country." But like Pence, partisan oppostion like that shouldn't deter Daugaard, because like Pence our governor understands that the money pouring in for Medicaid expansion does the greatest good for the greatest number of South Dakotans. I invite Gosch and the other naysayers to examine how Medicaid expansion has worked, even in conservative states like Indiana, then I challenge them to find a way of making it work here. He Ain't No Dummy. But Some SD Pubs? These intransigient Republicans need to explain why they oppose Medicaid expansion when two of the most conservative Governors in the United States found it to be something workable and worthwhile in their respective states. In the meantime this ideological inflexibility should be considered by voters in November who are just plain sick and tired of reflexive hatred toward a plan that promises to do us some good just because it was spawned by the Obama administration.